At 18, De La Paz is a senior at Irma Lermer Rangel Young Women’s Leadership School. She’s also one-third of JVD Productions, whose short documentary “The Birds and the Bees” was shown at the All-American High School Film Festival last year in New York. “The Birds and Bees” began as an entry in an annual competition held by the North Texas Alliance to Reduce Unintended Pregnancy in Teens, NTARUPT. 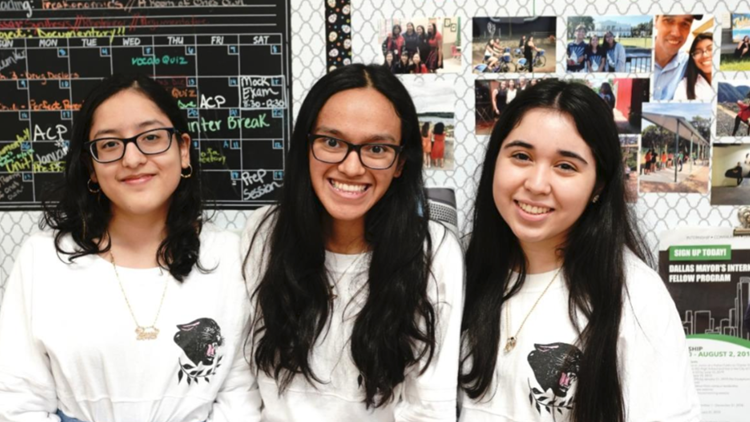 Each year NTARUPT (interrupt) solicits North Texas high school students to make three-minute films about teen pregnancy. The winners get cash prizes. The audience gets increased knowledge about the complex social, economic and developmental web entrapping teens who have children. With the deadline for entry Jan. 24, would-be directors have five days to finish this year’s projects. NTARUPt’s “Oscars” will be Feb. 24 at the Wiley theater, honoring Mayor Mike Rawlings. Go here for more information about the film contest and how to enter.